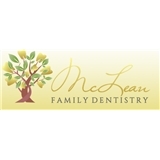 McLean Family Dentistry (McLean) - Book Appointment Online! Providing family-oriented dental care with an emphasis on technological innovation, Dr. Uppasna Chand and our team would like to welcome you to McLean Family Dentistry! Our goal is to make you feel just like family. We want you to feel comfortable discussing your dental concerns with our team, no matter how big or small. In order to make your dental experience as stress-free and relaxing as possible, we’ve introduced advanced technology into our practice, making the most of your time and maximizing your comfort. The comprehensive dental treatments we provide include periodontal care, cosmetic dentistry, sleep apnea and snoring prevention, Philips Zoom! teeth whitening, oral cancer screening, and Invisalign® clear orthodontic aligners. Walking through the front door is sometimes the hardest step in making a change in your dental health. Now that you have, let us try to make every experience at our office an incredible one! Please feel free to contact our McLean dental office to schedule a complimentary consultation with Dr. Chand today! The office and staff are extremely welcoming. I received reminder texts and calls from the office - even a call to confirm the appointment I scheduled online was confirmed. The office is well decorated, comfortable and clean. Brand new exam chairs are really nice. Most dentists have older equipment. It's nice to see a healthcare provider investing in the latest technology for treatment and comfort.